As part of our range of Fairtrade Fortnight offerings, we’ll be hosting culinary up-and-comer Yianni Hoffstead D’Gama of Plate London for a 3-course chocolate-based feast. Since being set up in 2016, Plate London has gone from strengh-to-strength and built a strong reputation for putting subtle twists on classic dishes. Yianni is fresh off the back of a successful month-long residency at the award-winning Duke’s Head in Highgate, and we’re excited to welcome him into our kitchen for one night only. Guests will be treated to a decadent chocolate-rich banquet, featuring a starter of chocolate fried chicken, followed by beef sirloin and oxtail in a chocolate and red wine sauce, all capped off by a self-indulgent chocolate tart with hazelnut ice cream and boozy, boozy cherries. Vegetarian options are also available upon request. 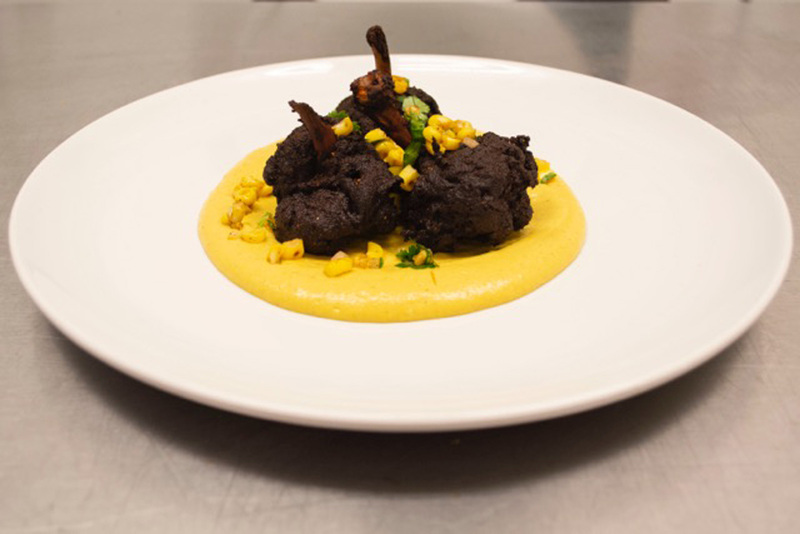 Starter – Chocolate fried chicken, sweetcorn purée, BBQ sweetcorn salsa. 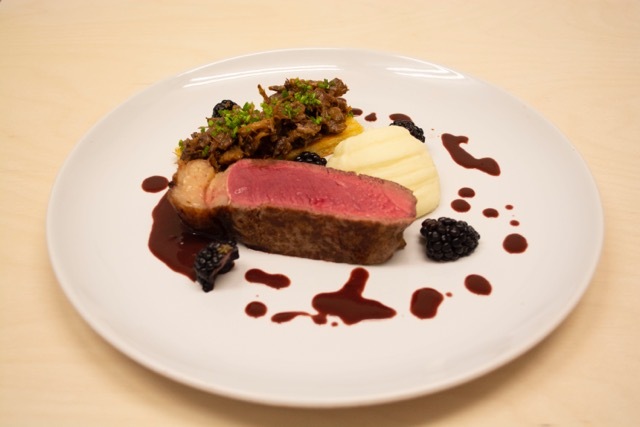 Main Course – Sirloin of Beef, Oxtail toast, pomme purée, blackberries, chocolate & red wine sauce. Dessert – Chocolate tart, hazelnut ice cream, boozy cherries. At the banquet’s conclusion, guests will be invited back downstairs into our Cellar Bar where they will be able to discuss all they’ve seen and tasted, and sample our exclusive FAIRtrade fortnight serve. Definitely one to keep tabs on for all you chocolate lovers out there. Tickets will be £45 per head, a portion of which will be donated towards the Fairtrade Foundation. Fancy a little light entertainment before dinner to prepare you for the Cacao-laden experience ahead? We’re putting on a screening of all-time-classic Willy Wonka & The Chocolate Factory in our screening room beforehand, click for full details and tickets. Arrival: Guests not attending the pre-dinner screening will arrive through the doors of our liquor store at 8pm, where they will be met by their hosts for the evening. 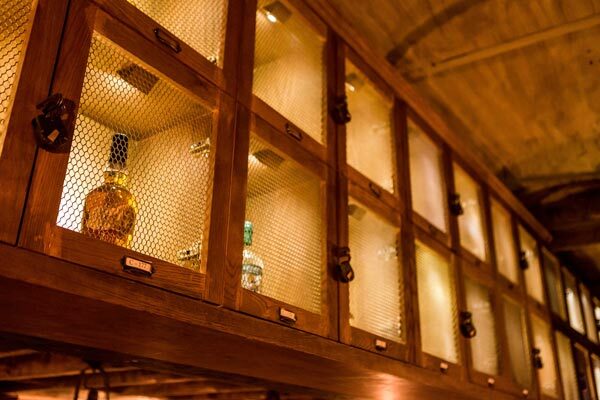 Feel free to browse our extensive wares or bespoke Cellar Bar menu while you wait. Dinner: Attendees will then be led through the building at 8:30pm, up the stairs and into our West Wing banqueting hall, where they will be treated to a decadent 3-course chocolate-based feast. 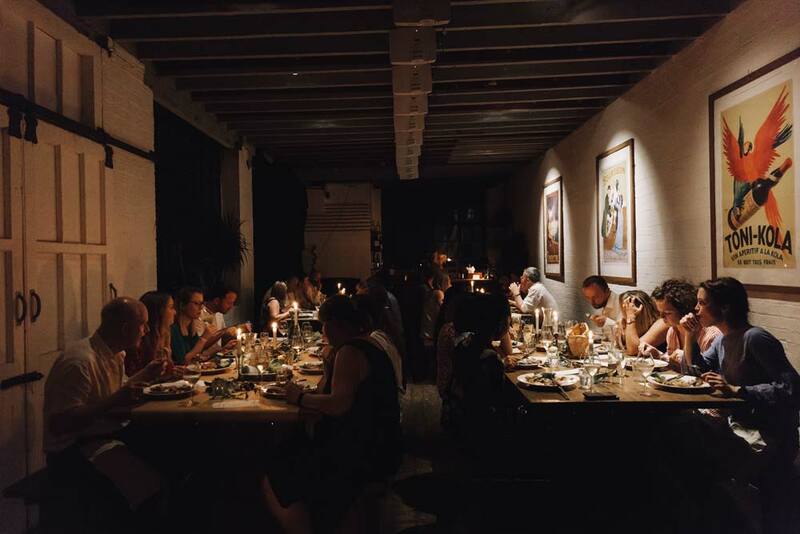 Afters: Once all plates have been cleared and chocolate cravings have been duly satisfied, guests will be invited back down the stairs and into our Cellar Bar, where they will be able to drink, discuss, and continue their evening. Reservations recommended although not mandatory. £45 per person. Includes: full entry, and a 3-course chocolate-rich feast. 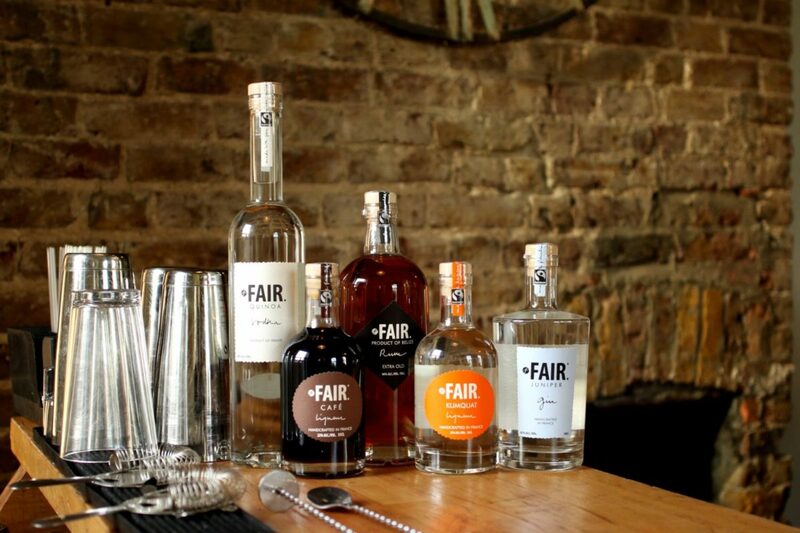 We’ll be teaming up with FAIR. Spirits & Propercorn to host a screening of Willy Wonka & The Chocolate Factory. We will be hosting a guided tasting of the FAIR. range in our liquor store, led by Global FAIR. Brand Ambassador, Paul Bungener.